Gasthof & Pension Palmenhof Leegebruch, Hotel Germany. Limited Time Offer! Gasthof & Pension Palmenhof. 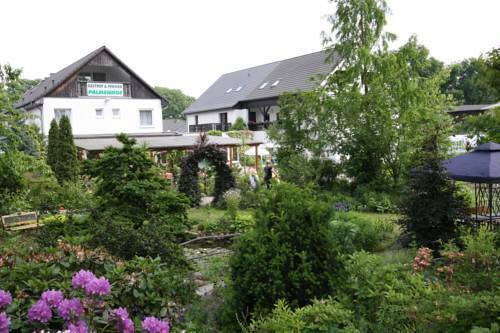 "Gasthof & Pension Palmenhof" is an ideal pied-a-terre from which to discover Leegebruch. You are offered the option of practicing bowling. No need to go out searching for dinner as there is an onsite restaurant. After a good night's rest, breakfast is available. Of course, Internet access is available at no extra charge.